A great ride doesn't always have to come with a hefty fuel bill. 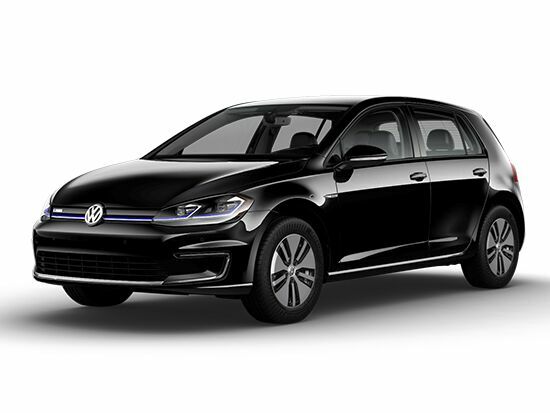 In fact, you can go ahead and scrap the whole gasoline thing entirely if you'd like with the help of the e-Golf, Volkswagen's all-electric version of the award-hoarding Golf. With a range of up to 83 miles on a single charge and a 115 horsepower electric motor that helps you go the distance, you won't be feeling left out of any driving fun just because your engine is powered differently. You've also got access to maximum torque of 199 pound-feet that's able to respond instantly when and where you need it. The e-Golf's benefits are many and varied. Never having to stop for gas is only part of the picture – there's also an 8-year limited warranty on the battery, and three years or 36,000 miles of roadside assistance to help keep you feeling confident. Then there's the effort to reduce and offset carbon emissions from every stage of production to the everyday use of the e-Golf. All in all, you'll feel great in it and about it. The new source of your superpowers. 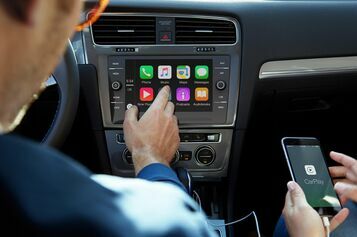 To start App-Connect18 simply plug in your compatible smartphone and watch as your select apps appear on the touchscreen display of your Volkswagen. 1 Starting MSRP of $30,495 for a 2017 Volkswagen e-Golf SE with single-speed automatic transmission. Price excludes transportation, taxes, title, other options and dealer charges. Dealer sets actual price. 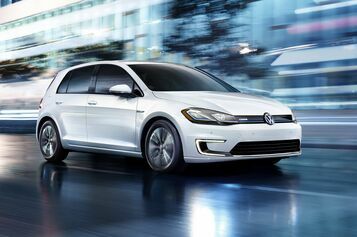 2 126 city/111 highway MPGe (2017 e-Golf, single-speed automatic transmission). EPA estimates. 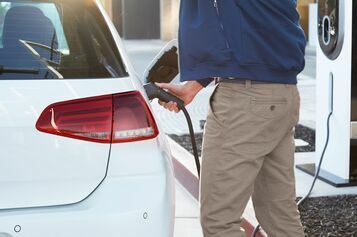 Based on EPA formula of 33.7 kW/hour equal to one gallon of gasoline energy, EPA rated the e-Golf equivalent to 126 MPG measured as gasoline fuel efficiency in city driving, and 111 MPG in highway driving. Actual mileage and range will vary and depend on several factors including driving and charging habits, accessory use, temperature and topography, battery age, and vehicle condition. Battery capacity decreases with time and use. See owner’s manual for details.